In this performance of Under Milk Wood the directors involved played multiple parts. 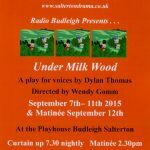 “Under Milk Wood” has been a favourite of mine for many years and I am very pleased to have the opportunity to direct it. 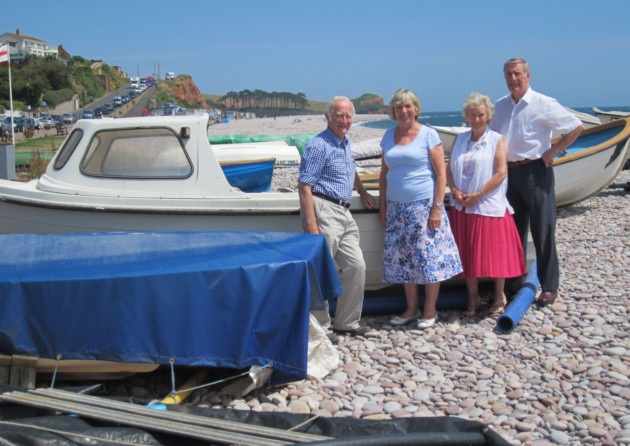 Our Radio Budleigh format, which will be familiar to many of you from previous productions, is an ideal medium for this “play for voices”. This was Dylan Thomas’s last work and was first performed on stage in New York in May 1953, six months before his death. Thomas acted as the narrator as well as director. When asked by the five American actors, who played all the characters, for advice on their roles, it is said he told them “Love the words ..... just love the words”. My cast have worked very hard to bring their roles to life for you. So we invite you now to join us in spending a Spring day in Llareggub and we hope that you too will ...... love the words. Welcome once again to our theatre. 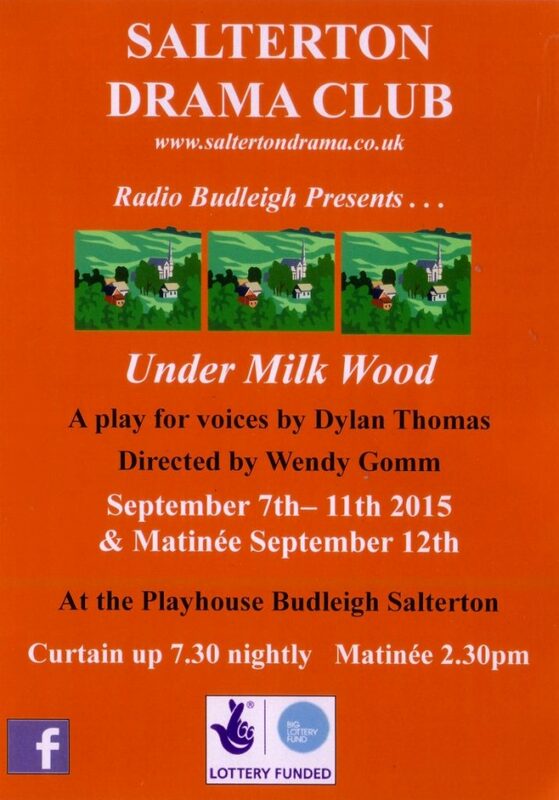 Tonight's broadcast from the famous Budliegh Salterton studio is “Under Milk Wood”. Once again we have gone to enormous expense to bring you the finest actors that money cannot buy and hired equipment to bring you a truly memorable experience. The sound effects table is manned (woman-ed?) by a highly sought after special-effects artist. The lighting is being controlled by an experienced crew, and will bring you a light show the like of which you will have never seen before. The backstage crew have been working tirelessly for months to create scenery to take you right into the heart of Wales itself ! But seriously, this has been a challenging production for the players and the director, with holidays and people being involved in other productions. There are so many drama groups out there and just not enough people to take part, so, once again, I would like to invite you to come and join our friendly club. To sum up I will say thank you for coming to see our production. 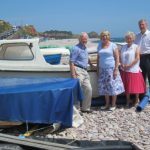 We cannot do it without your support.